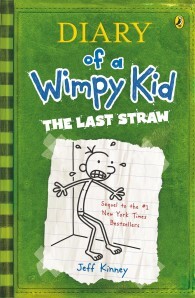 You see, Frank Heffley actually thinks he can get his son to toughen up, and he enlists Greg in organized sports and other “manly” endeavors. Of course, Greg is able to easily sidestep his father’s efforts to change him. But when Greg’s dad threatens to send him to military academy, Greg realizes he has to shape up . . . or get shipped out.